A 1 of 1 car you may not have heard of built in 2015 that I have now seen. The Local Motors Strati in the Local Motors Store in Knoxville, TN. 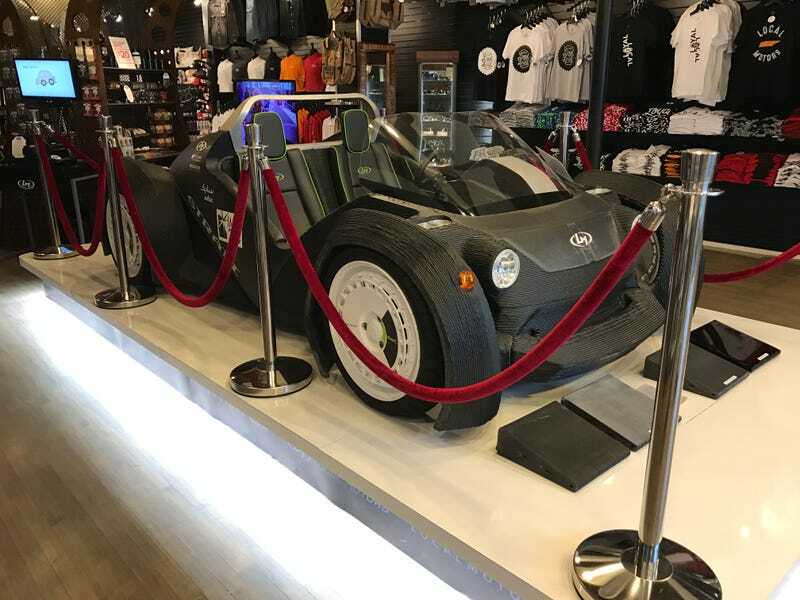 The car is almost completely printed using the largest 3D printer in the world. Local Motors has a storefront here because they are working directly with ORNL(Oak Ridge National Laboratory, where some of the atomic bomb parts were created) on this tech of bigh strength 3D printed item. ORNL is just about 45 minutes outside Knoxville so a storefront made sense to establish there brand on a local level.